“Moomin” is a word Walt Disney wanted exclusive rights to in the 1950s. The significance of this word may puzzle Americans, but for millions of children around the world, it needs no translation. Technically Moomin is a nonsensical word, but it’s also the name of a hippopotamus-like creature who lives in a place called Moominvalley with his family of Moomintrolls. “Moomin is probably the most known and adored Finnish icon, if not before, then right after Santa Claus,” according to the Official Travel Site of Finland. In fact, Moomins pop up in the most unexpected places: Finnair’s airplanes, Japanese catalogues, even in Björk’s music video. Once you start seeing Moomins, you can’t stop seeing them everywhere. Moomin began as a caricature of Immanuel Kant, drawn on a bathroom wall by the Finnish visual artist, illustrator and author Tove Jansson during an argument with her brother. In the 1940s, the caricature evolved into the cuddly, and not entirely un-philosophical Moomintroll family. 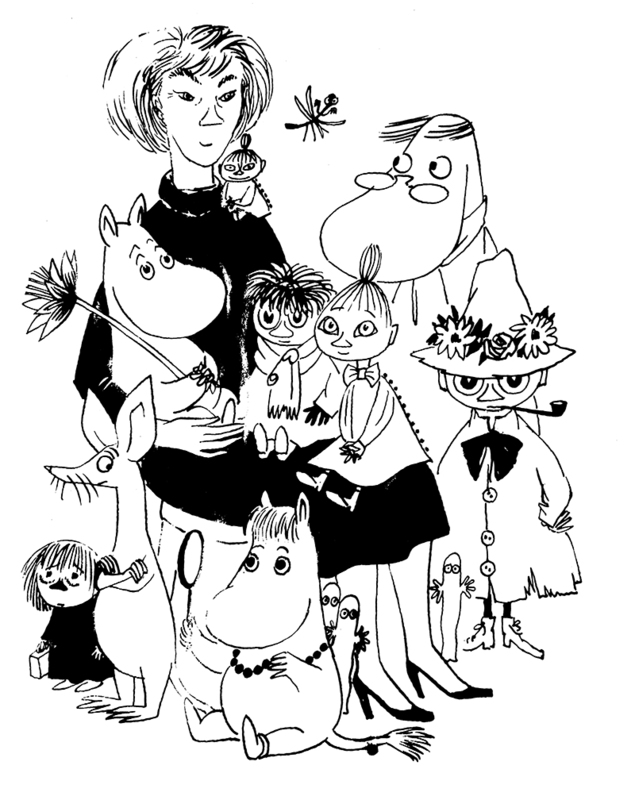 Moomin is the main character of Jansson’s comic strip, which follows the whimsical Moomintroll family on various adventures as they subvert their “very ordinary middle-class life.” The family is made up of practical Moominmamma and eccentric Moominpappa, their romantic son Moomin, and his flighty girlfriend Snorkmaiden.